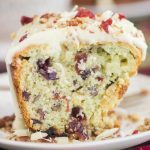 This super moist White Chocolate Cranberry Pecan Pistachio Bread is made with a few short-cuts, no mixer required, and is sooo easy! 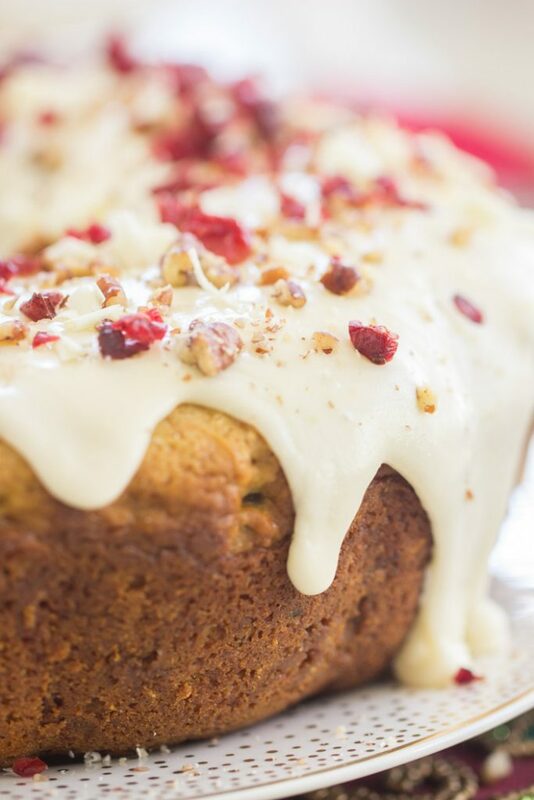 This White Chocolate Cranberry Pecan Pistachio Bread is a simple sweet bread or coffee cake, chock-full of delicious flavors, and perfect for the holidays! 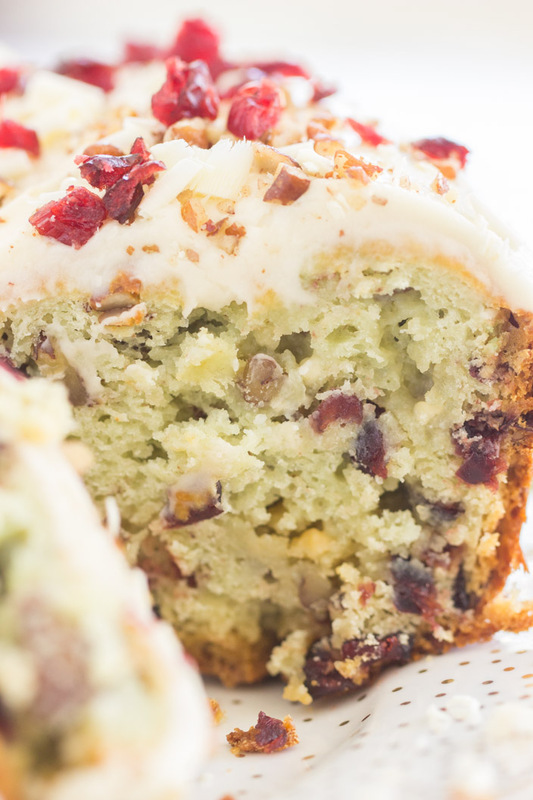 I know this White Chocolate Cranberry Pecan Pistachio Bread feels like a weird assortment of flavors and ingredients, and an oddly cobbled together recipe, but hear me out. I think it’ll feel more natural to you once I explain it. 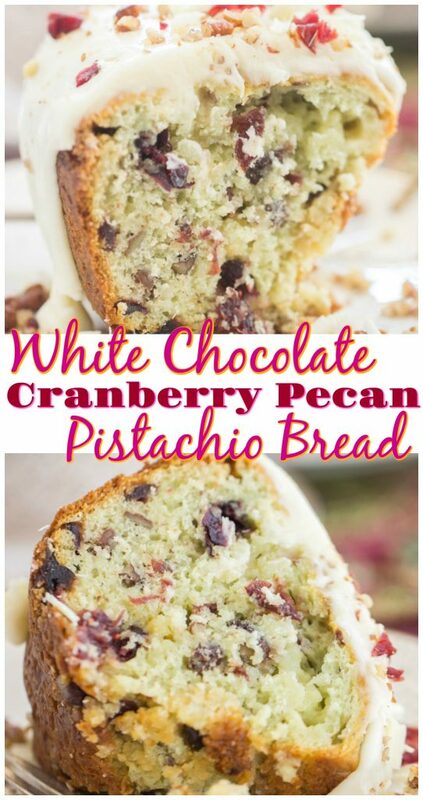 I made this White Chocolate Cranberry Pecan Pistachio Bread from my Grandma’s Pistachio Bread. 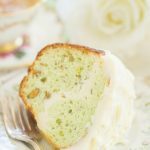 I’ve talked about it gads before, but Grandma’s Pistachio Bread is a classic recipe for us. We make it for most holidays and get-togethers, and we’ve made it for decades. It’s called a bread, yes, but I’d almost classify it closer to a coffee cake. It’s on the sweeter side of quick breads, and it’s very soft and moist. Perfect for basically any occasion – picnics, brunches, holidays. 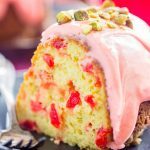 And like all the other Pistachio Bread recipes, it’s very simple! It starts with a cake mix, only requires a few ingredients, and you don’t need a mixer. You can whip this up pretty fast. 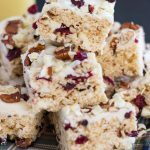 Anyway, when I was doing my Christmas planning and baking this year, I got carried away with ‘White Chocolate Cranberry Pecan’-themed recipes, so lots of things got a makeover with those ingredients this season. You’ll notice a trend in the next few weeks! 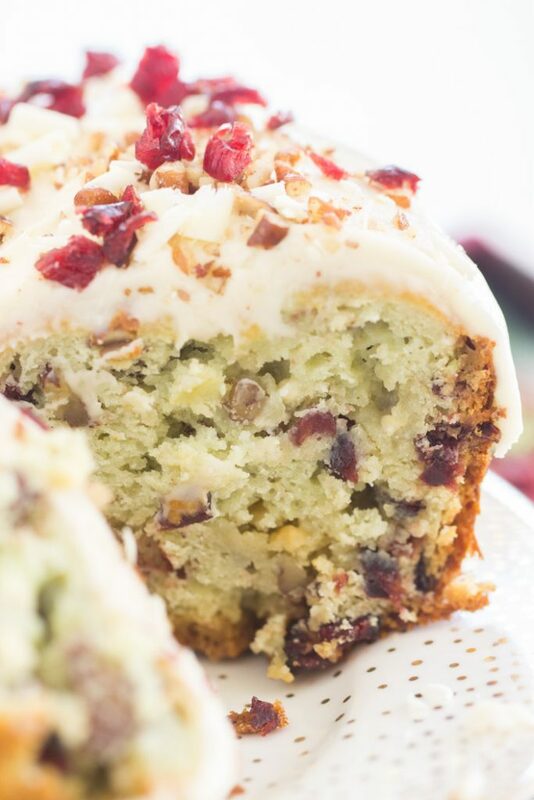 I love that trifecta of ingredients, especially around the holidays, and this White Chocolate Cranberry Pecan Pistachio Bread was no exception. The white chocolate glaze on top is absolutely to-die-for too. 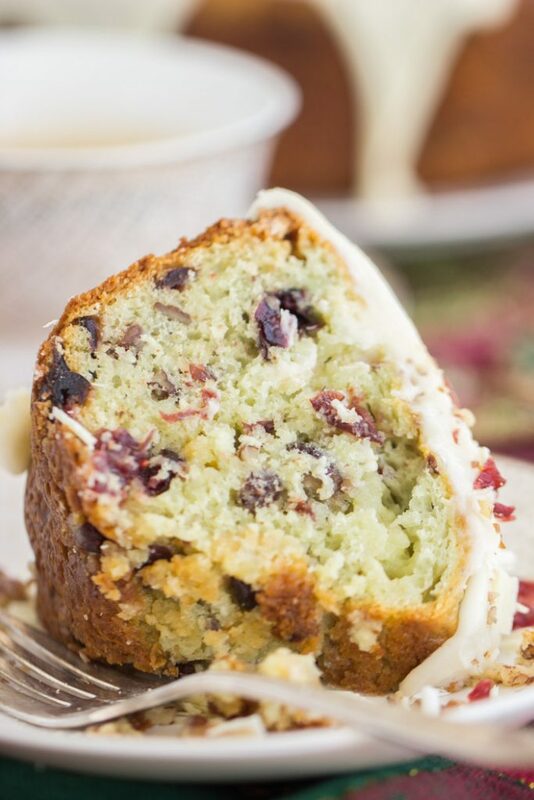 My Grandma’s Pistachio Bread recipe has a distinctly pistachio flavor, for sure, but it’s also very mild, so it easily supports the addition of a bunch of mix-ins like dried cranberries, pecans, and white chocolate. You still get each individual flavor coming through, and they marry together very seamlessly. 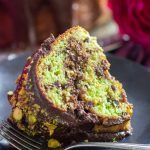 The mild pistachio base was actually a pretty natural fit here. 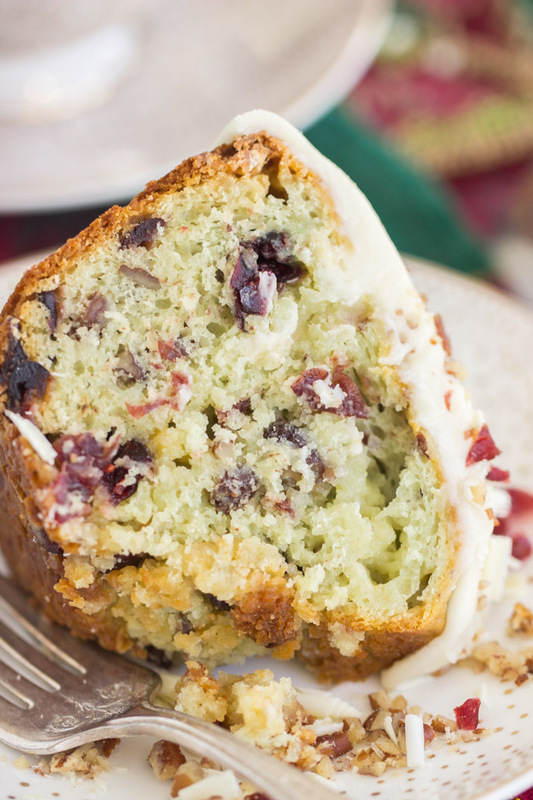 Although Grandma’s classic Pistachio Bread recipe is always a holiday staple for us, I liked making this White Chocolate Cranberry Pecan Pistachio Bread as a holiday-focused twist on her original. 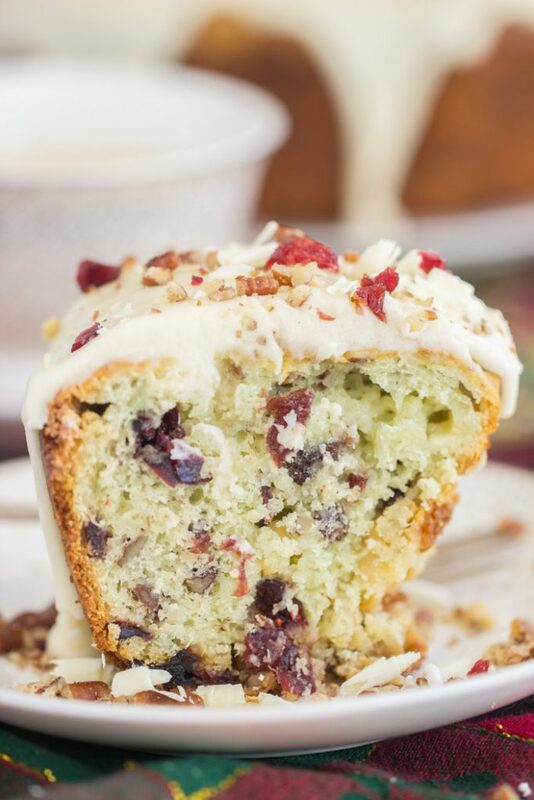 Grandma’s Pistachio Bread is an amazing canvas for lots of other variations, so I’ve made Cheesecake-Swirled Pistachio Bread, Pistachio Bread Cinnamon Streusel Muffins, Triple Chocolate Pistachio Bread, and Maraschino Cherry Pistachio Bread. Quite a variety of options to suit your fancy. 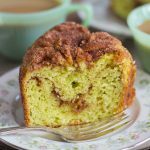 I’ve found that Grandma’s Pistachio Bread also makes an excellent bundt cake. A few of the most popular adaptations are my Lemon Blueberry Bundt Cake with Lemon Glaze, Oreo Bundt Cake, and German Chocolate Bundt Cake. What is on your holiday menu so far?? Happy baking! In a large bowl, stir together cake mix, eggs, sour cream, vegetable oil, pudding mix, pecans, white chocolate chips, and dried cranberries. Mixture will be very thick. Spread into a well-greased tube pan or bundt. Make sure to grease it well because bread wants to stick! Bake at 350 degrees for about 45 minutes, or until edges are golden, and a toothpick inserted near the center comes out clean. Cool for 10 minutes, run a knife around the edges to loosen, and carefully invert onto a serving platter. Do not cool longer in the pan - bread will stick as it cools. In a small microwave-safe bowl, combine chocolate, heavy cream, and butter. Heat for 30 seconds, stir, and continue heating at 15-second intervals, stirring in-between, until melted and smooth. Whisk in 1/2 cup powdered sugar until smooth, adding additional powdered sugar, as needed, to achieve a thick glaze consistency. Thick enough that it will not run off the bread, but thin enough to pour. Pour/spread evenly over bread. Allow to set. Cut and serve. 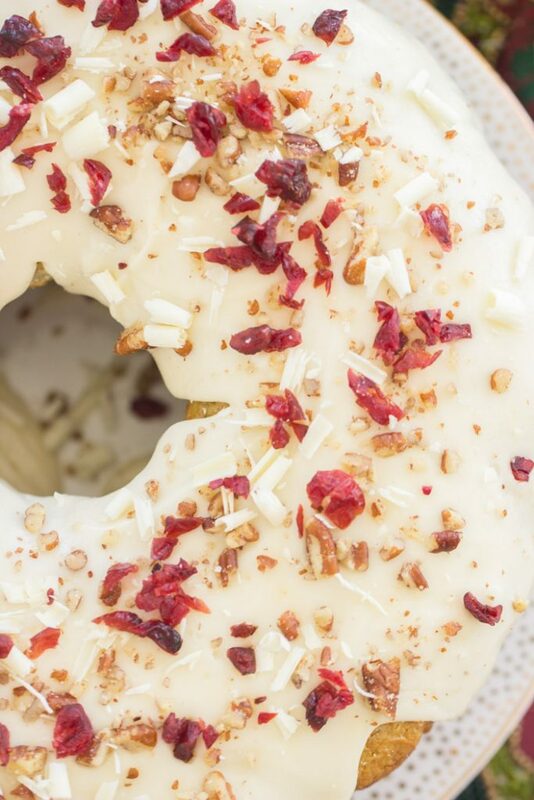 White Chocolate Glaze adapted from Genius Kitchen.